Set that debuted on June 20, 2013. 60” Salitek MPDP Plasma Seamless Video Wall 4 x 2 configuration. 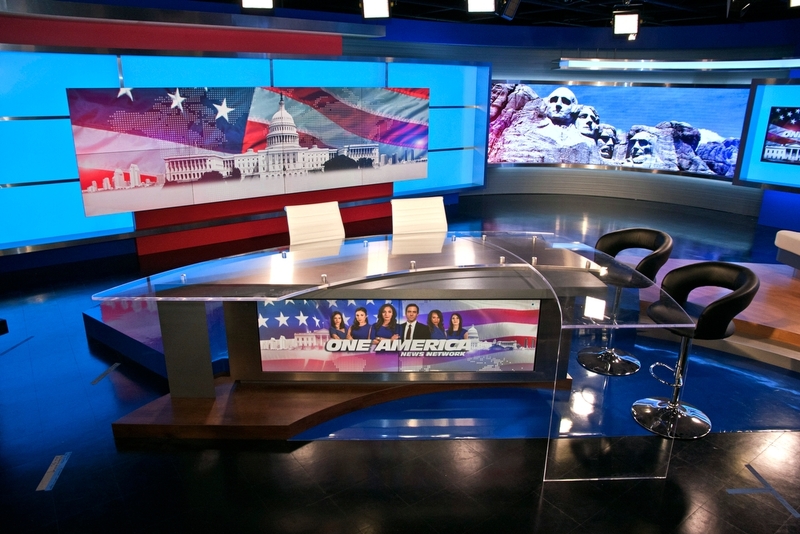 42” Salitek MPDP Plasma Seamless Video screens in Anchor Desk. 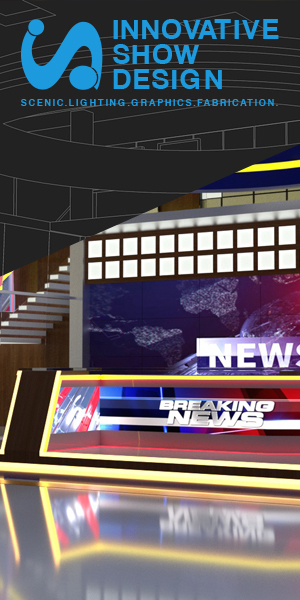 (2) 4 mm pixel LED video display walls. Color changing RGB LED light boxes in multiple locations. 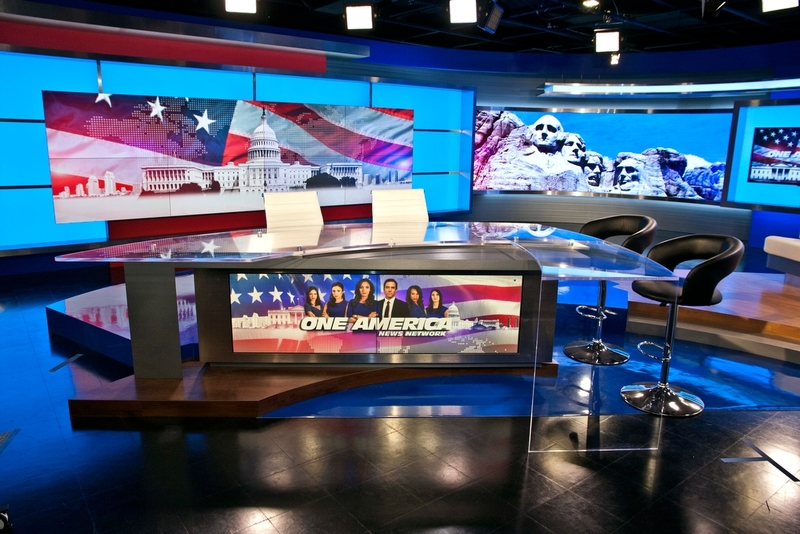 A small studio with huge flexibility for One America, a cable news channel with its flagship newscasts airing from 7:00 AM till 8:00 PM. The studio was located on the second floor in a nontraditional location with lower ceiling heights so the challenge was to get as much depth and flexibility as possible. BDI chose to use a combination of hi-definition video, low-resolution LED video and RGB LED lighting to provide the kind of flexibility needed to change looks in color and video content throughout the day. This is a good example of new LED technology and hi-resolution plasma video combined to offer changeable backgrounds as needed. 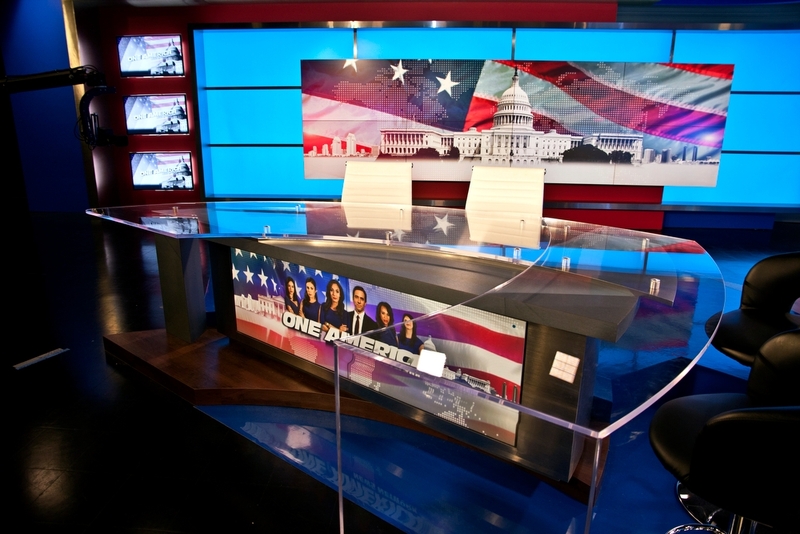 Various shooting angles with a dual sided anchor desk and an interview area round out this small studio that offers a ton of flexibility.